San Shou or San Sau refers to Self Defence Applications hidden/entwined within our Hand Form. 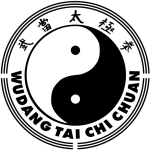 San Shou / San Sau is one of the five parts of our Tai Chi Chuan syllabus. 48 within the form, shown below. 七星勢 – seven stars style – 1. 攬雀尾 – grasping bird’s tail – 2. 單鞭 – single whip – 3. 斜飛勢 – flying oblique high and low – 4. 提手上勢 – raise hands and step up – 5. 白鶴涼翅 – white crane flaps its wings – 6. 摟膝拗步 – brush knee twist step – 7. 手揮琵琶 – stroke the lute – 8. 搬攔捶 – parry, deflect and punch – 9. 如封似閉 – as if shutting a door – 10. 撇身捶 – swing fist – 17. 翻身撇身捶 – turn body and swing fist – 24. 卸步七星 – step back seven stars – 25. 雙抽腿 – double seizing legs – 39. 折臂式 – break arm style – 40. 迴旋手 – gyrating arms- 41. 虎抱頭 – tiger embraces head- 42. 白蛇吐信 – white snake spits out tongue- 43. 先鋒臂 – vanguard arms- 44. 飛花掌 – flying flower palm- 45. 五行肘 – 5 element arm- 46. 奔雷手 – running thunder hand- 47. 單抽腿 – single seizing leg – 48. Note that techniques that the following pairs of techniques are very similar: 17 ( swing fist ) and 24 ( turn body and swing fist ), 1 ( seven stars ) and 25 ( step back seven stars ), 39 ( double seizing legs ) and 48 ( single seizing leg ).